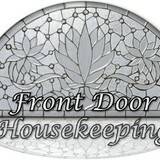 Front Door Housekeeping as years of residential cleaning experience. We provide housekeeping from: Move in/out cleans, one time deep cleans and recurring maintenance cleans, as well as organizing, windows and some laundry. Our organizing techniques are inline with the Kon Mari method of organizing and videos can be found on our Facebook page @Frontdoorhousekeeping We supply equipment and cleaning supplies. We currently are using a very green cleaning product made of natural oils and water for floors and counters. It smells great! Since 2009 Ferndale, MI. based Always Cleaning has been providing Commercial/Residential Window-Cleaning Services, Gutter Cleaning, Pressure/Power Washing, and more throughout Birmingham., Michigan and the surrounding communities of Bloomfield Troy, and beyond. Call Detroit Mi Junk & Trash Removal at (313) 651-7482 for all of your junk hauling needs. We Remove All Junk or Trash Inside or Outside….Declutter your home, business, property…Discard your rubbish…You call, we haul. At Trinity Professional Services, LLC. 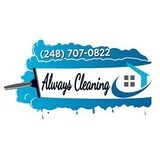 we strive to be the best Residential Cleaning Service & Interior Painters in Michigan! We offer a variety of services to all our clients. Since 1999, ServiceClean has been providing professional all-in-one cleaning services to thousands of residential and business customers throughout Oakland, Macomb and Wayne counties. At Ask Alice we clean it all from baseboards to ceiling fans and everything in between. We pride ourselves on saying “yes” to our clients’ requests! In addition to our regular and specialty deep cleans, we offer additional services including, but not limited to, the following… changing bed linens, washing windows, assisting with parties and events to include set–up, service, and clean–up and more. We bring our own equipment and cleaning supplies to our clients’ homes to include our vacuums, ladders, high dusters, cloths, and eco–friendly/green cleaning products. We are also happy to use any specialty cleaning products that our clients may have and prefer. We clean our clients’ homes on a weekly, bi–weekly, and monthly scheduled basis. 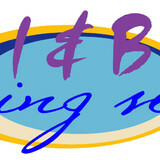 We also do move-in / move-out, one–time, and occasional cleanings as well. All of our work comes with a 100% client satisfaction guarantee. To learn more about our services or to schedule a home or office cleaning, call today at 248-918-3587. Metro Detoit Dumpster Rental makes renting a dumpster in southeast Michigan easy and affordable. We carry a varity of dumpster sizes and types to accommodate your specific dumpster needs without causing any damage to your property. 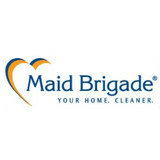 What should I expect from a house cleaner in Oak Park, MI? Most professional Oak Park house cleaning services will do the same tasks for a basic residential cleaning job: clearing dust and cobwebs from all surfaces and fixtures; wiping all surfaces, including sinks, tubs, counters mirrors; cleaning tile; vacuuming and mopping. You may want to have different rooms detailed at different times, so ask about doing a rotating schedule if you want them to pay extra attention to each space (like kitchens and bathrooms) every other cleaning. Some house cleaning companies in Oak Park, MI will also offer additional services such as window washing or appliance cleaning, so ask about incorporating them into your deal or doing them as a one time thing if you’re interested. Pick up any clutter (laundry, toys and other gadgets) and put pets in a secure spot so they feel safe and don’t get in the way of the Oak Park house cleaning company. Put out any specific cleaning products or tools you want used, and make sure to lock up any valuables that you don’t want disturbed. Most housekeeping services in Oak Park, MI will enter with a spare key or garage code, but if that isn’t something you’re comfortable with then you should arrange for them to come when you are home to let them in. Typically Oak Park house cleaners expect payment at the time of cleaning, so ensure you have the appropriate form of payment (cash, check or credit card) on hand, plus a little extra for tip if that’s your style and they do a great job. Find Oak Park house cleaning services on Houzz. Narrow your search in the Professionals section of the website to house cleaners in Oak Park, MI and contact local companies to ask questions and get quotes.